Invisible Children released their 11th film, KONY 2012, on March 5th and would never have known that it would lead to the most important year in the non-profit organisation's eight-year history. 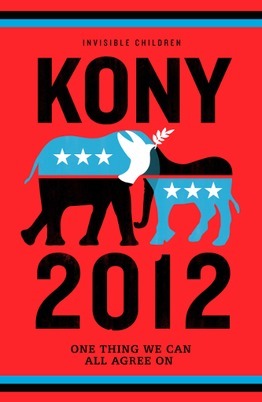 2012 was significant, but Joseph Kony remains at large. Invisible Children released their 11th film, KONY 2012, on March 5th and would never have known that it would lead to the most important year in the non-profit organisation's eight-year history. 2012 was significant. For international justice, for child soldiers, for Invisible Children - and it was all because of the immense support by ordinary people. Joseph Kony remains at large, and Invisible Children remains committed to bringing him to justice and investing in the communities that have been affected by the conflict. If you were planning to catch up on an end-of-year contribution for 2012, please consider making it to Invisible Children. There are still mountains to be moved and the organisation is up to the task. Make your fully tax-deductible donation today.